Michigan is experiencing a problematic trend of 20-somethings leaving after graduation in pursuit of better job markets, according to U.S. Census Bureau data. Nicole Birmingham is one of these graduates. She graduated from Michigan State University in 2012, majored in zoology with a concentration in Animal Behavior and Neurobiology. She left Michigan with her boyfriend, Erick Blank. He was offered a better job as senior systems validation engineer in Southern California. Where there is also a higher job market for Zoology, according to Birmingham. 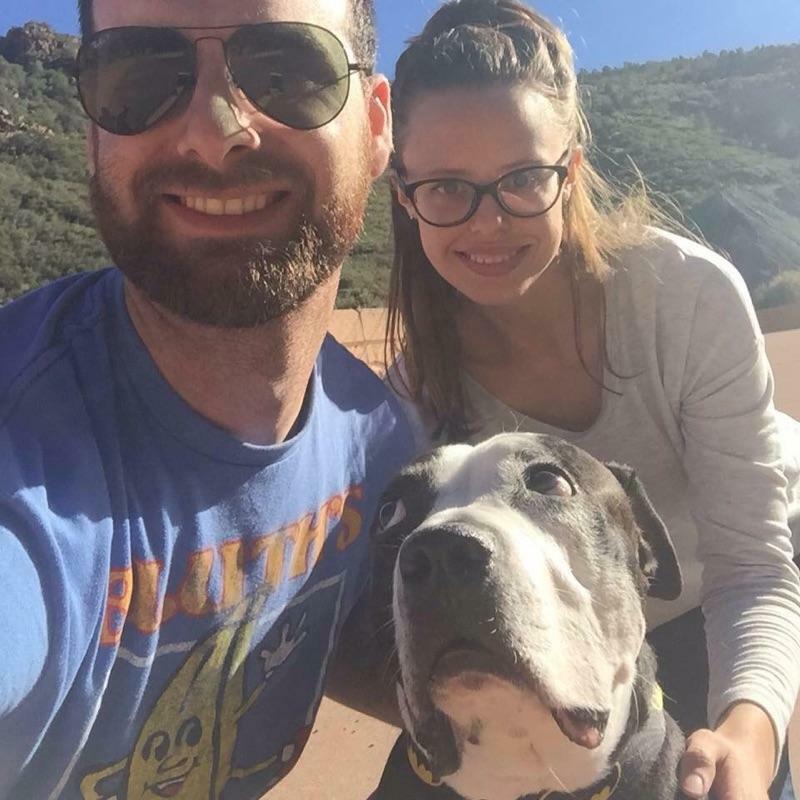 Erik Blank, Nicole Birmingham and Ziggy – American Bulldog – on their way to California / Photo by Erick Blank. “While in college I was hoping to stay, but open to the possibility of leaving,” she said. Family and friends was the hardest to leave behind, but a scary and exciting adventure awaits, according to Birmingham. After graduation there isn’t as many resources available for gaining experience, according to Birmingham. California is easier to navigate with public transit. Michigan has mass transportation within the cities, but it’s difficult to travel from one city to another, according to Birmingham. Three cities in California – Los Angeles-Long Beach-Santa Ana, San Jose, San Diego – are in the top 10 best cities with public transit. Michigan has none, according to a U.S. News article. The weather is warmer in California than Michigan which means there is more to do all year in the state and national parks. This equates to a higher chance of finding a job in the field of wildlife biology, according to Birmingham. California had 3,330 — or 0.22 per 1,000 people — zoologists and wildlife biologists employed in May 2014. Whereas in Michigan 240 — or 0.06 per 1,000 people — employed, according to Bureau of Labor Statistics. There are more organizations and non-profit opportunities in California. Something an animal lover going into zoology is really interested in, according to Birmingham. “Many people depend on public transportation for their livelihood to get to work, and we need to see improvements to the system,” Gov. Rick Snyder told MLive. The job market, important personal ties and financial situations — such as owning a house — are things that could help bring people back or keep them in Michigan, according to Birmingham. In 1970 Michigan held 19 congressional seats, by 2010 it had 14, according to United States Census Bureau statistics. “The second problem is that we’d probably lose clout in Washington…The auto bailout of 2008 probably wouldn’t have happened if the strong Michigan delegation hadn’t flexed its muscles,” said publisher, of Inside Michigan Politics, Susan Demas in an article. “I would love to come back to Michigan in the future if the job market was better,” Birmingham said.